A.S.A.P Plumbers have been operating for over 11 years, and there is no job too big or too small for us. 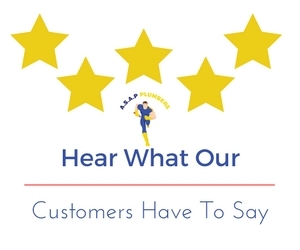 Our experience and workmanship speaks for itself, and we don’t just create customers – we create raving fans who come back to us time and time again. Get in Touch with us! There is always someone around to take your call, and to respond to your needs. Want to fix a time and date for us to call? No problem. We are flexible and can work around you. We provide a range of services from plumbing to boiler repairs. It all depends on the nature of the job, but our minimum call out is one hour. Again, this varies on the nature of the job. Call us today on 0203 441 6626 or contact us here for a bespoke estimate. Click below to read our latest reviews. N22 Alexandra Palace, N1 Angel, N19 Archway, N11 Arnos Grove, N5 Arsenal, EC2 Barbican, EN4 Barnet, N1 Barnsbury, E2 Bethnal Green, EC2 Bishopsgate, N11 Bounds Green, N11 Bowes Park, N21 Bush Hill, N7 Caledonian, NW1 Camden, N1 Canonbury, E4 Chingford, E5 Clapton, N8 Crouch End, E8 Dalston, N1 De Beauvoir Town, N5 Drayton Park, N2 East Finchley, N18 Edmonton, N1 Essex Road, NW1 Euston, EC1 Farringdon, N3 Finchley, EC2 Finsbury, N4 Finsbury Park, N10 Fortis Green, N11 Friern Barnet, NW11 Golders Green, N21 Grange Park, N4 Green Lanes, E8 Hackney, E2 Haggerston, NW3 Hampstead, N15 Haringey, N5 Highbury, N5 Highbury Fields, N6 Highgate, N7 Holloway, E9 Homerton, N8 Hornsey, EC2 Hoxton, N1 Islington, NW5 Kentish Town, WC1X Kings Cross, E10 Leyton, N16 Manor House, N10 Muswell Hill, N11 New Southgate, N16 Newington Green, N12 North Finchley, N20 Oakleigh Park, EC1 Old Street, N13 Palmers Green, N7 Pentonville, EN1 Ponders End, EN6 Potters Bar, N15 Seven Sisters, E8 Shacklewell, N15 South Tottenham, N14 Southgate, N16 Stamford Hill, N16 Stoke Newington, E15 Stratford, N4 Stroud Green, N17 Tottenham, N20 Totteridge, N19 Tufnell Park, N1 Upper Street, N15 West Green, N20 Whetstone, N21 Winchmore Hill, E17 Walthamstow, N22 Wood Green, N12 Woodside Park.